It’s been 80+ degrees in Kentucky for the past week, but I’m craving layers. 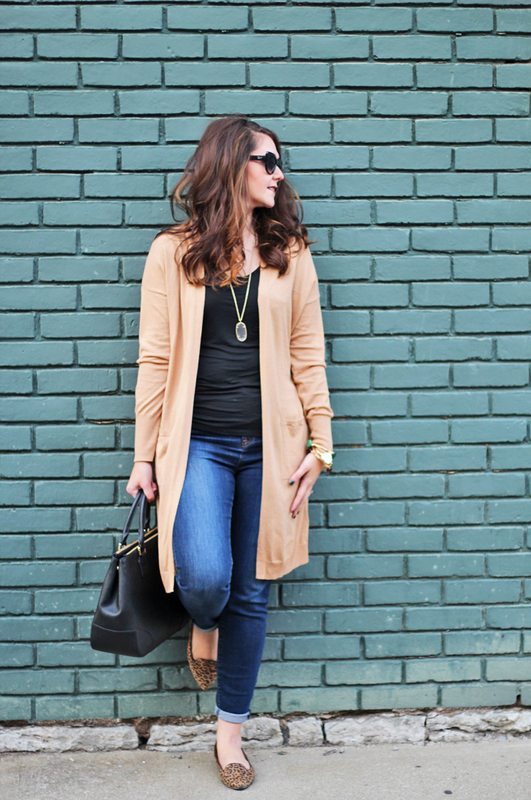 Layering is my favorite aspect of fall fashion. 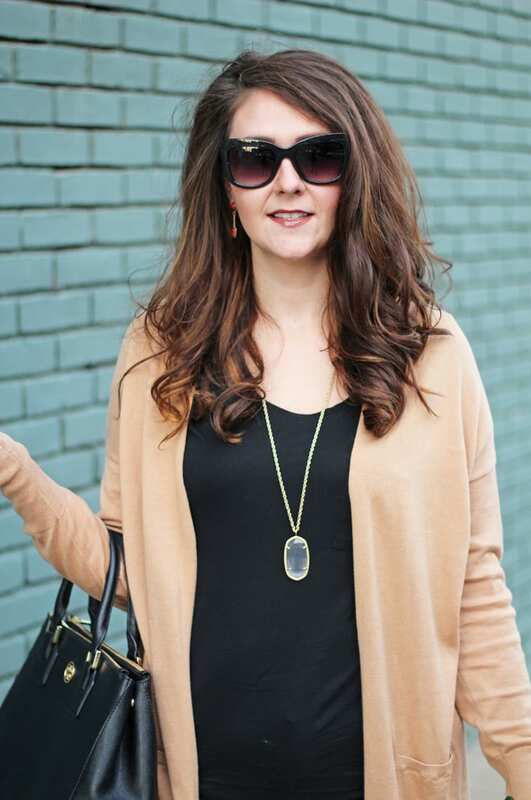 This Old Navy cardigan is the perfect staple for your fall closet and is such an effortless piece. I tend to chill easily, so I’m always on the lookout for a good cardigan. 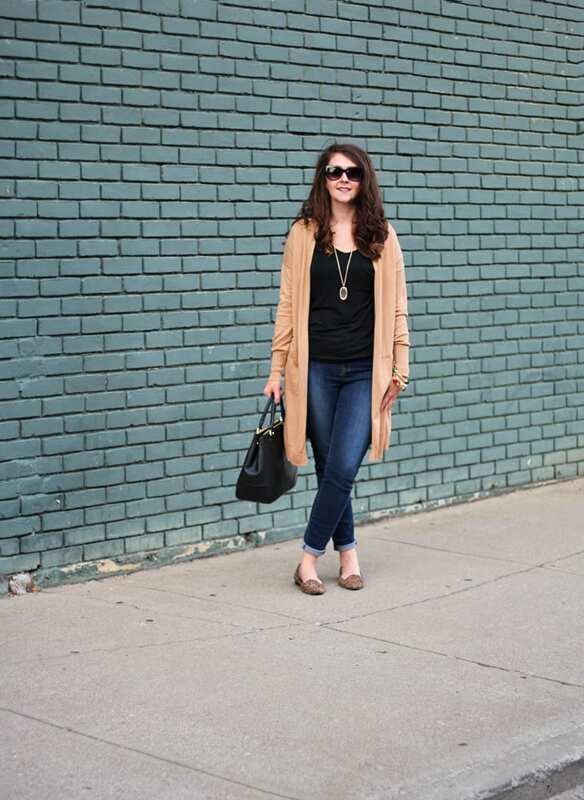 I love the length of this long, open cardigan, and I’m seeing similar ones everywhere right now. This camel color is my favorite. 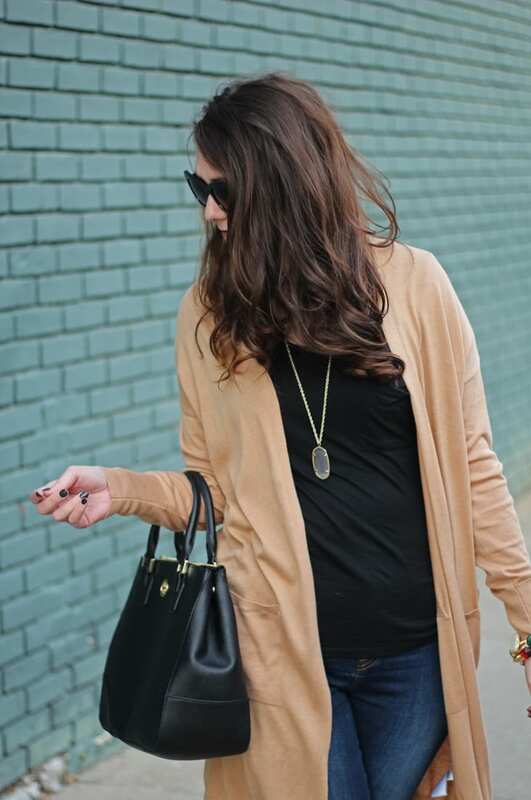 It goes with everything and pairs great with a neutral tee and leopard flats! 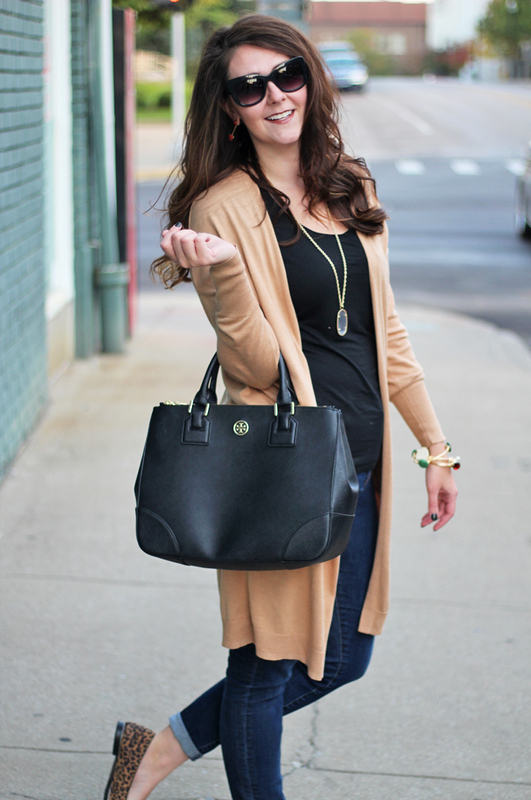 You can throw this cardigan on over almost anything and it will pull your entire look together in a snap. 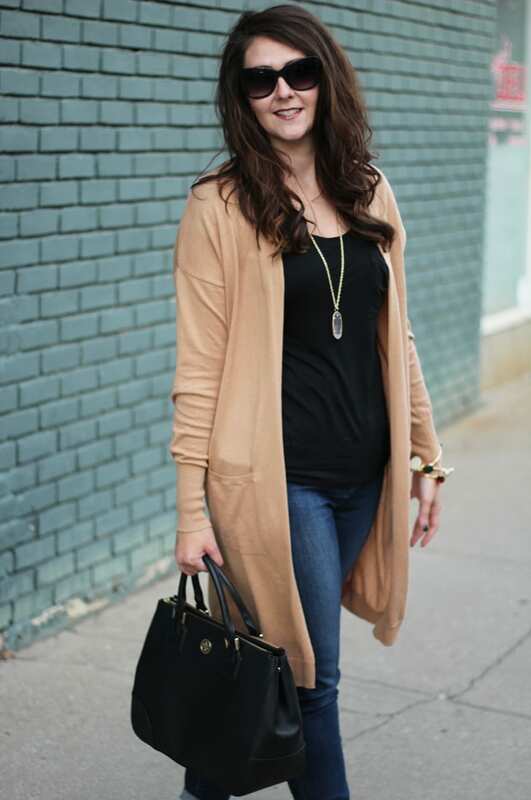 Like with a tunic, I recommend wearing a long necklace with this style of cardigan. It draws the eye and balances the look. I tend to reach for my Kendra Scott necklaces in these situations. The Kenda Scott Rayne necklace (the tassel version of the necklace I’m wearing) comes in a ton of colors. 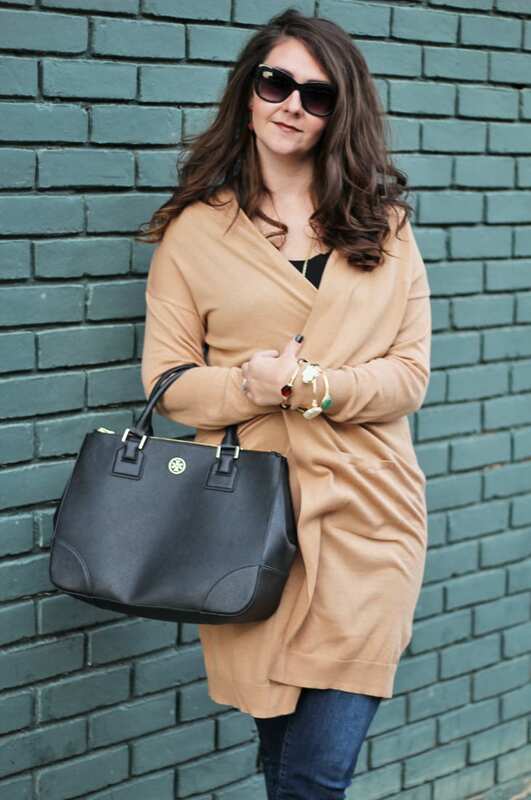 I’m also wearing my favorite fall bangles from KCK Bangles, and you can enter to win this exact bangle set here. What are you wearing on repeat this fall?